Colorado has one of the highest suicide rates in the nation. It's the leading cause of death ages 10 - 18. That’s why a group of local teens is fighting this issue by changing the stigma and talking about it. DENVER – Colorado has one of the highest suicide rates in the nation. It's the leading cause of death ages 10 - 18. That’s why a group of local teens is fighting this issue by changing the stigma and talking about it. "They are full of passion and full of ideas and they want to fight this issue and they want to create the change,” said Eckert. Through Feb. 10, hundreds of students from more than 20 Denver Metro area middle and high schools are participating in the "HOPEful Drive.” Students are teaming up to raise awareness and to bolster the need for mental health resources in Denver metro communities. “Even a couple of months have passed and we are still really working hard so that we can help other people,” said Avery Wilson. Wilson became friends with Robbie during their freshman year at Lakewood High School. 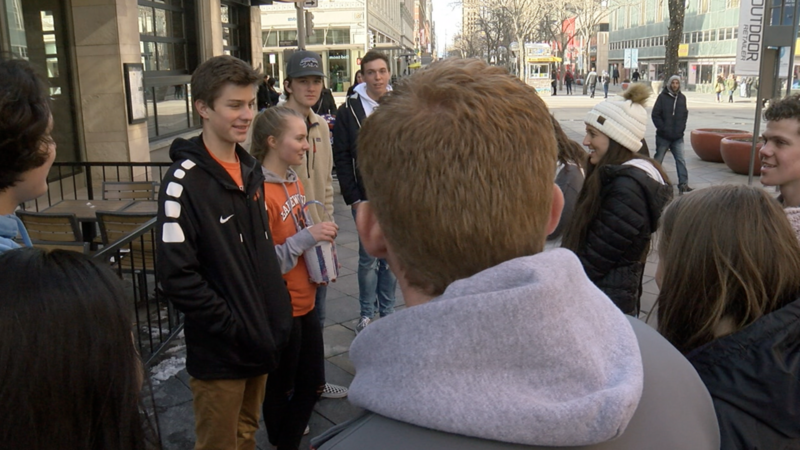 She joined with other students on Saturday to talk with people on the 16th Street Mall in Denver and raise money for Robbie’s Hope during the HOPEful Drive. “It’s really nice to know that he is still not forgotten and he is still with us and we all think about him every day,” said Wilson. The money raised will support the Robbie’s Hope Foundation’s mission to continue growing through Colorado and across the country. Organizers said eight states are already showing interest in having similar programs in their middle and high schools.